Take a look at 15 Days Collection of Oru Pazhaya Bomb Kadha . Oru Pazhaya Bomb Kadha which was released on July 20 actually opened up to negative reviews.But as the Weekend progressed, it gained much more decent wom as families have enjoyed the movie a bit.Thus it has performed well in its second Weekend than its first Weekend. If we consider the fact that the movie stars a new Face as the hero, it has done a decent business.With budget on the moderate side and Shafi being a director with satellite value, this will definitely end up as BreakEven or small profit Venture for the producer. It has grossed a Collection of 3.1Cr in its 15 Days run with a share of 1.3Cr. 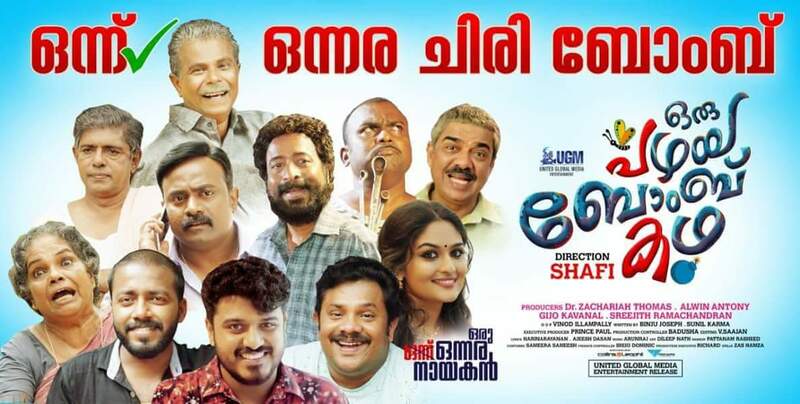 It will get some more money with 2 more weekends yet to Come before Onam releases comes into the picture.